Once upon a time I wrote a blog called Mama Truths. It’s actually how all this came to be, and although I have set aside my mommy blogging ways I was honoured when Alex of In Essence Coaching asked me to contribute to the Find Balance Feel Joy Blog Tour. It feels wonderful to once again share my honest experiences from motherhood and I hope what I have written here helps you in some way. There are many other brilliant mothers contributing to the tour – take some time to read Racheal Cook’s post from yesterday and Pleasance Silicki’s post tomorrow. 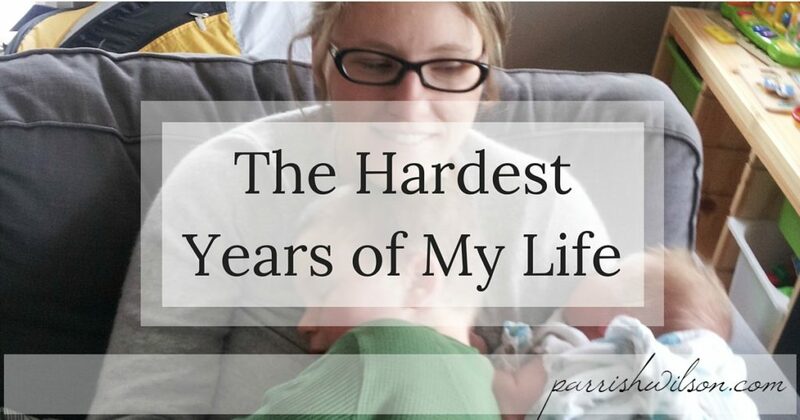 The first few years of motherhood were the hardest years of my life. Sleepless nights and a sensitive baby who turned into a sensitive and often angry toddler, who still today at age 5 screams and throws things when something is slightly askew in his world. Our second son was an easy going little chubber but his arrival almost destroyed us as our first son responded with jealousy and aggression. For the first year as a mother of 2, I couldn’t let my eldest get within arms’ reach of the baby for risk of harm. And along with the stress of being consistently on the lookout for bites, hits and kicks, my own body was deteriorating because of an undiagnosed concussion, an undiagnosed autoimmune disease and a lifetime of depression and anxiety. It was far from the snuggles and giggles I had imagined. The cute outfits and family walks… the special moments caught on video, the relaxing Sundays spent hanging around the house playing games… Rather, there were many days that in fact, felt like torture. Which of course made me sad – horribly, desperately sad. There I was, with a great husband, two beautiful boys and a lovely home. Life was supposed to be good. I was supposed to be grateful. But instead I was depressed, deeply disappointed and feeling guilty for all of it. Like I said, the hardest years of my life, at least to date. A few months after we celebrated our youngest’s first birthday – when the tantrums were still awful but a little less regular, when my body still hurt but was slowly getting better – I felt myself come up out of the fog, just enough to breathe. I then realized I wasn’t going to wake up one day in a new life, with a happy family. That if I wanted our life together to change, I needed help. I wasn’t going to be able to get past the sadness and frustration on my own. And that in fact, expecting myself to be able to do that wasn’t fair, not to me or my family. As mothers we often think our whole purpose is to take care of our children, to do whatever needs to be done to make them happy, to always be there, to always put them first, to always push aside our own needs and make sure they have everything they could possibly want. But here’s what all kids want: A happy and healthy mother. They want a mother who has the capacity to smile, to relax, to play, to be present. My first choice in my new commitment to self-care was one of the hardest I’ve ever made. I had long boasted that I was able to manage my sometimes tumultuous mental health without the use of antidepressants but at this point in my life I was humbled. I could no longer put my pride above my family’s quality of life. After over 10 years being medication free I started taking Zoloft and my only regret, my biggest regret, is that I didn’t start years before. There is no shame in choosing wellness. There is no shame in choosing joy, presence and fulfillment. I didn’t stay on the medication for long – about 5 months – it felt long enough to shift my perspective, to reconnect me with my old self. But I knew when I chose to stop taking it that I had to dedicate myself to self-care. I had managed my depression and anxiety before kids with daily, even minute to minute decisions to care for my body, my mind and my soul. I knew it would be so much harder to dedicate myself in this way as a mother, which is why I had lost myself so intensely in these years, but I had the biggest motivators right there in front of me. These two beautiful children of mine deserved a happy and healthy mother. But going from burnt out and stressed to balanced and joyful isn’t an overnight thing. Just the idea was daunting. I had done plenty of reading about the self-care practices of other mothers and they seemed to take up so much time, time I hadn’t yet found. So I started small with 5-10 minutes of yoga almost every day. And sometimes that was child pose for the whole time. And sometimes I missed days. And other times I would just lie there and cry. But what I had learned as a mother, is that imperfect is OK. If I didn’t do it one day, I could still do it the next. All that mattered was that I always came back to it. I began to meditate – easy, short guided meditations. All together my self-care practice took me about 20 minutes each day. Which honestly, at the time and sometimes still, feels huge! As mamas, we all know it’s not easy to find 20 minutes for yourself every day. Me on my mat, happy at home. I never put grand expectations on my self-care. I knew that would set me up for failure. 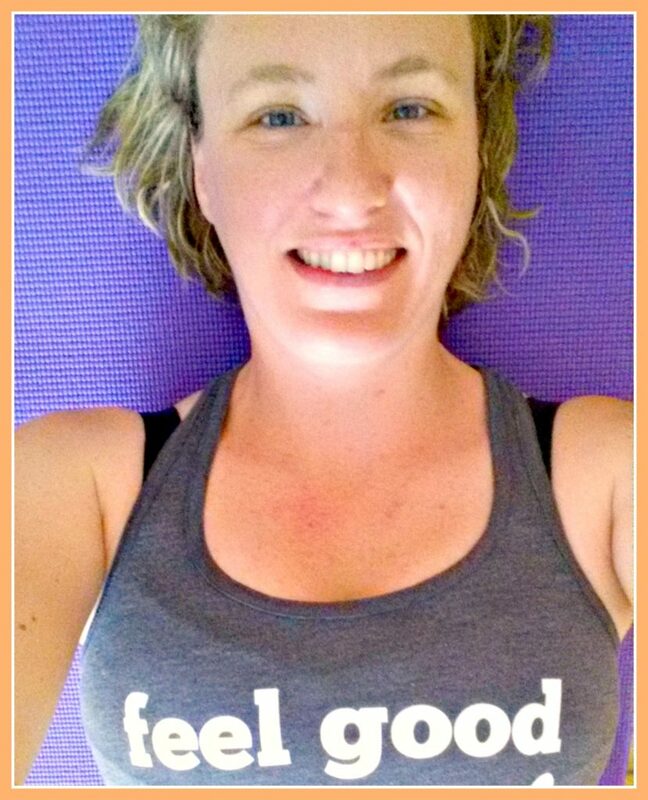 It was 9 months before I made it to an actual yoga class and when I did I chose restorative yoga – my suggested style for any tired and stressed mother. It’s now been a year and a half since I made the commitment to those 20 minutes and I am finally a regular at my local studio. In this time, self-care has become easier, it has become more normal. It’s become something I prioritize, sometimes even over my children which is still a hard choice to make. But I’m here for the big picture, for the long-haul. I want to have the emotional stability and strength that tells my children they can depend on me today, in 10 years, in 20 years and far beyond. I will no longer put aside my self-care so I can get one more load of laundry done. A real smile on my face when my son gets home from school is far more important. Our job as mothers is NOT to meet our children’s every need. Our job is to love them more than anything in the world. And if we love them that much, we must take care of the person they love most: their mama. Now excuse me, while I go do some yoga. Awesome and beautiful. As always. Parrish, you have embodied a lesson that mothers everywhere & of all ages need to hear – that we hear and get, in theory, but rarely put into action. In my practice, I spend more time & energy than I ever thought necessary trying to convince women that putting themselves first IS good for the kids and the family. Though I haven’t always done so successfully over 24 years of parenting, the times when I have put my care, priorities and boundaries to the fore, I have been amazed by the response in my sons: improved behaviour, and generally happier, more relaxed boys. Ironically, at such times, my (philosophical) middle son has thanked me for the sacrifices I’ve made for him. Now that he’s older (22), I’ve started explaining how many things I was actually doing for me…he just got the beneficial side effects. Kudos to you for heeding that deep need for self-care, for forgiving yourself the imperfection, for giving permission to all mothers by your actions. Proud of you lady… <3 And enjoyed your beautiful writings as always.